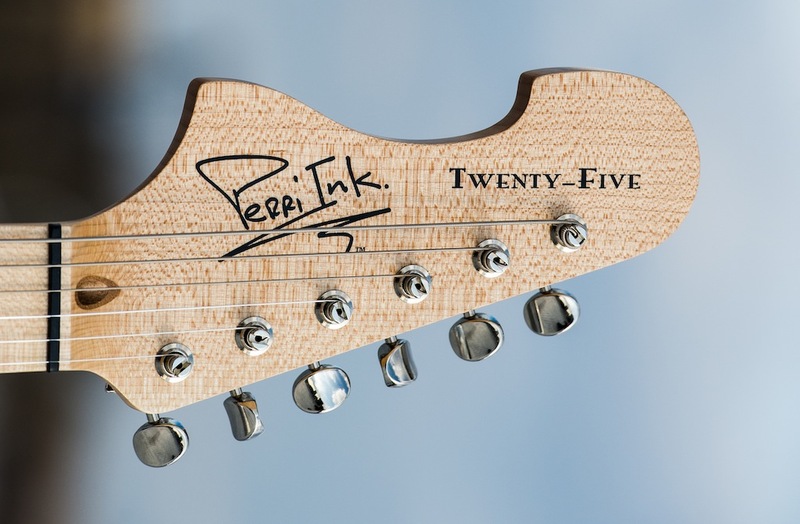 Making it's debut this week, Perri Ink's newest houndstooth "Twenty-Five" is causing quite a buzz. 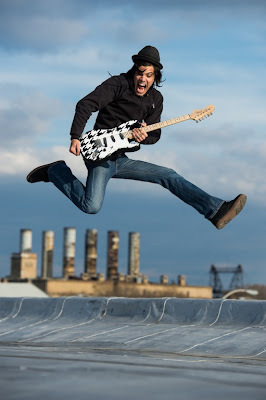 Some of you may have already seen this one featured at Guitar Noize Blog. We still had to present it here for its unique-atude; also ensuring it gets into our extensive Friday Strat Archive (see link below). 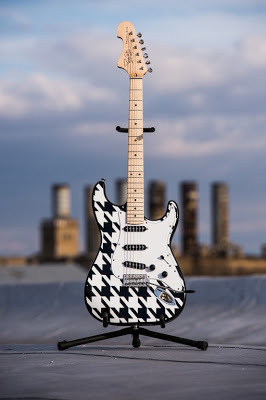 Ever seen a houndstooth finish on a guitar before? I haven't-- and neither had Nick Perri, which is one reason he created one. Another reason being that it works! Houndstooth is pretty badass! Sure it's not everyone's cup of ayahuasca, but neither is paisley, polka dots, pink or plaid. Kinda tired of letter "P" finishes now anyway. "Houndstooth" is like the hellhounds on my trail... with teeth too! 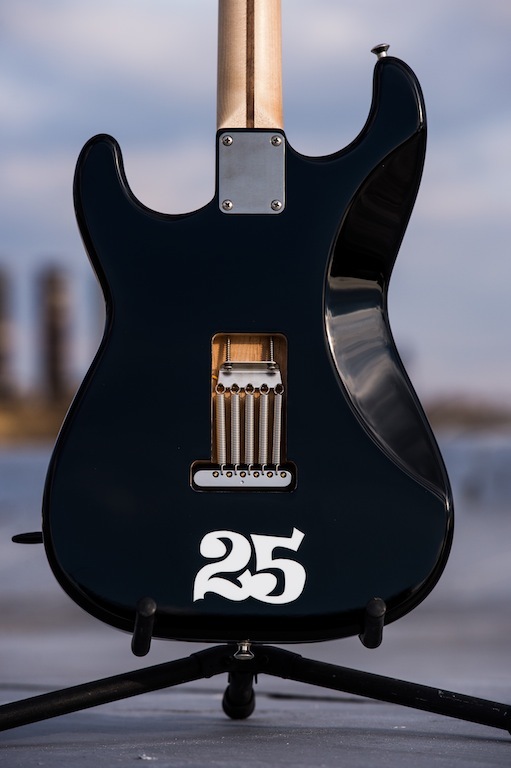 And it's pretty snazzy on a Strat body besides. On the other hand, a houndstooth Tele body might come off like Aunt Bee at the Mayberry five and dime store. But it's all about form, symmetry and proportion, which is what Perri has a keen eye for. So I love how this is workin'! 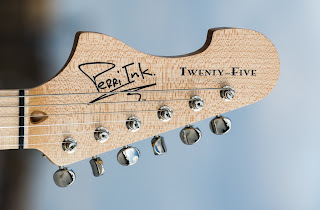 I also love the Perri Ink vibe overall. Especially after meeting them at NAMM and playing guitars with top shelf fit, finish, components, playability, and set-ups. All that!